Stone Age is a compilation by The Rolling Stones released on the Decca label in 1971. It reached #4 on the U.K chart. The Stones were strongly against this release. In an ad in Record Mirror and NME on 20 March 1971 they stated, "We didn't know this record was going to be released. It is, in our opinion, below the standard we try to keep up, both in choice of content and cover design." The 12 songs, dating from the mid-1960s, were chosen because they had never appeared on a UK studio album, some having been originally released only on singles and some having only been released on US studio albums to that point. 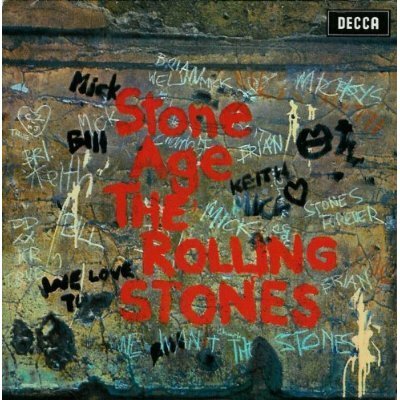 In fact, Stone Age, like several other of the earliest collections in this sequence, is a rather enjoyable romp through the group's 1964-1966 archive, and includes no less than three tracks that had hitherto avoided U.K. release: "Blue Turns to Grey," "One More Try," and "My Girl," plus the never-before-on-album B-side "The Spider and the Fly."